There will be a heavy po­lice presence in and around the ANZ Stadium over the three days. A total of 2605 student athletes are expected at the Fiji Second­ary School Athletics Associa­tion national finals at Suva’s ANZ Sta­dium today. Among them are first-timers Moce Secondary School from the Island of Lau. The three-day annual meet, otherwise known as the Coca-Cola Games, starts today and will run until Thursday. 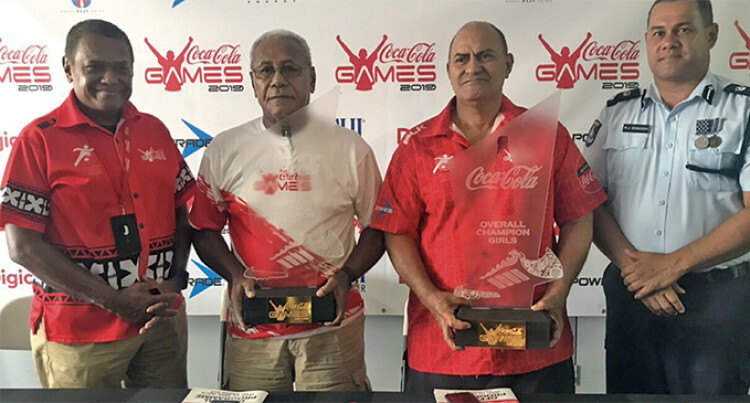 The numbers make this one of the biggest events in Coke Games history, says Fiji Secondary School Athletics Association general secretary Vuli Waqa. The Permanent Secretary for the Ministry of Youth and Sports Maritino Nemani will open the event today. Meanwhile, there will be a heavy po­lice presence in and around the ANZ Stadium over the three days. The Fiji Police Force’s deputy direc­tor operations Mesake Sovasova said its Special Response Unit will be active throughout the games. Sovasova said the K-9 Unit will also be deployed at the Stadium.